CHINESE SPRING FESTIVAL. The Chinese consuls in Cebu during the celebration of the Chinese Spring Festival at Marco Polo Plaza Cebu. At front row, from left: Li Bingyu and Cai Wen of the Economic Consulate; Deputy Consul General Wu Xiaomin; Consul General Jia Li; Consular Attache Jiang Wen, Zhao Yiyuan of the Economic Consulate and Mr. Zhao. At the back are their families. CHINESE SPRING FESTIVAL. The students of Cebu Cherish School after their dance of celebration. WATERFRONT FESTIVITIES. 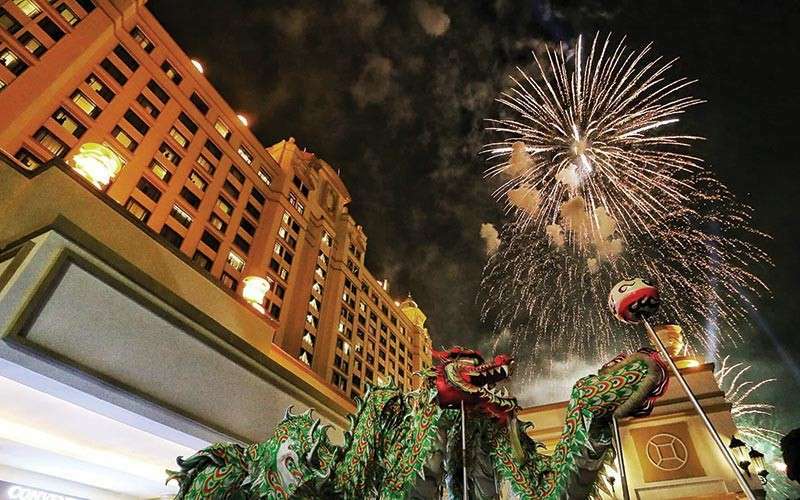 At Waterfront Cebu City Hotel and Casino, the magnificent fireworks display and the colorful dragon. The Lion Dance at Waterfront Airport Hotel and Casino. THE Year of the Earth Pig, which officially began yesterday, was welcomed with a big bang all over town. 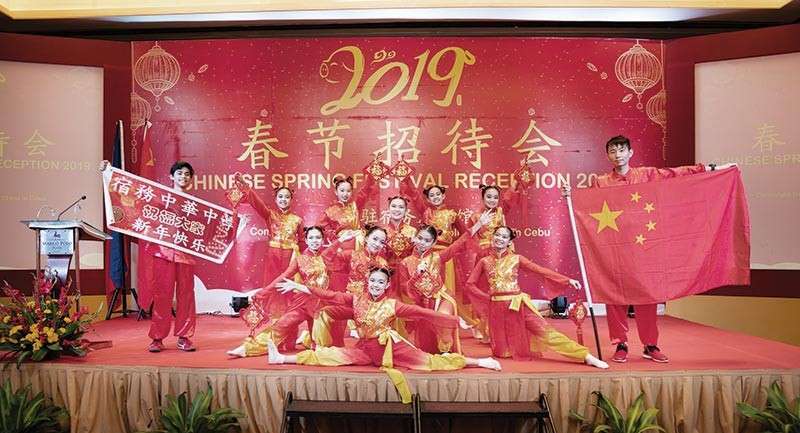 Consul General Jia Li of the People’s Republic of China started off the New Year festivities with the celebration of the Chinese Spring Festival which is very much part of Chinese Culture. Venue of the formal dinner reception was the Grand Ballroom of Marco Polo Plaza Cebu where a repertoire of colorful Chinese dances unfolded. AppleOne Properties Inc. (API) asked guests to come in red for its Gong Xi Fa Cai celebration at the AppleOne Equicom Tower at the Cebu Business Park last Feb.1. Yes, the Dragon and the Lion dances happened during the dinner gala. On the frontline were the AppleOne team led by API president / chief executive officer Ray Manigsaca and chairperson Venus Manigsaca. 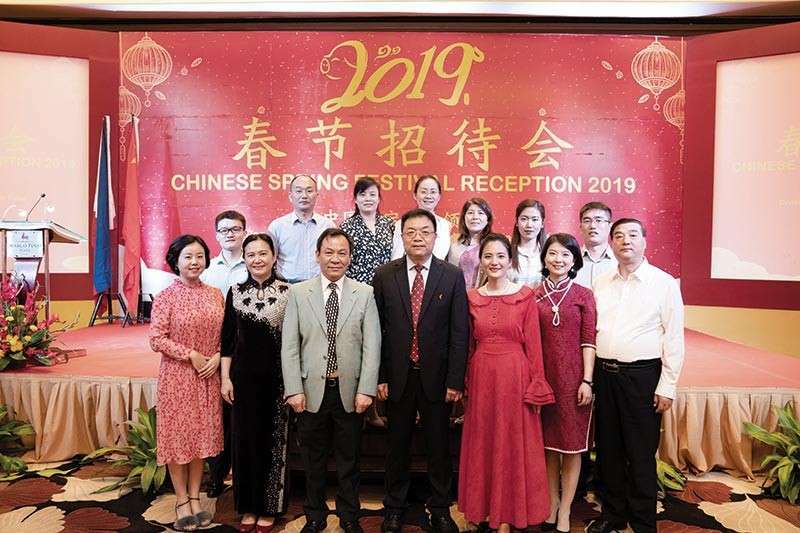 VIP guests included Chinese Consul Cai Wen, Vice Consul Li Bingyu, Department of Tourism 7 regional director Shahlimar Tamano and president of the Cebu Filipino-Chinese Chamber of Commerce, Ambassador Frank Benedicto. Waterfront Cebu City Hotel and Casino was festive as festive could be on the eve of the Chinese New Year. There was that typical roaring salutation to bring about good fortune and yes, the famed fireworks display once again enthralled the onlookers. 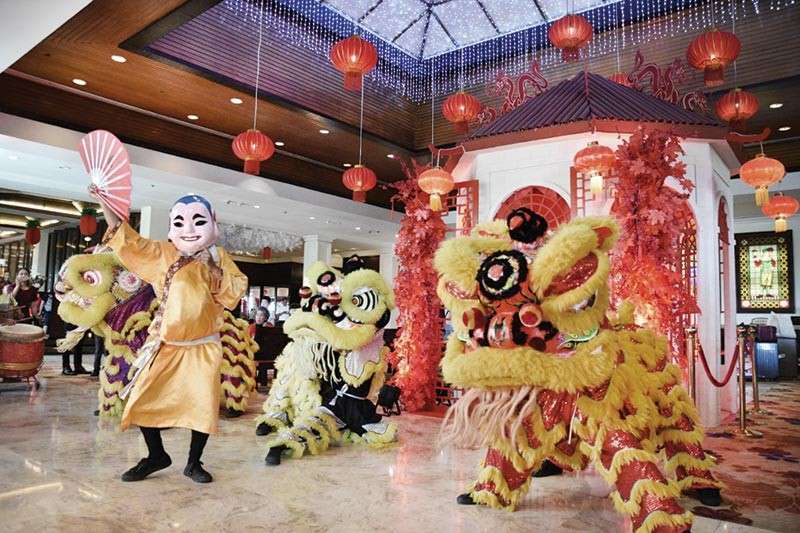 Meanwhile, over in Mactan, the resort hotels were abuzz with Chinese New Year activities on the day itself. Shangri-La’s Mactan Resort & Spa picked 9:45 a.m. as the most auspicious time to welcome the Year of the Earth Pig. General manager Rene Egle played host to the merrymakers who gathered at the lobby. At Waterfront Airport Hotel and Casino, it was at 12 noon when general manager Benhur Caballes led the action that marked the official start of the Year of the Earth Pig.